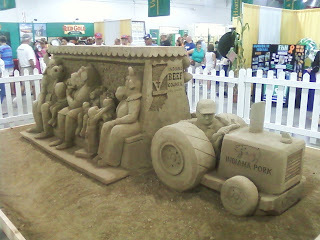 Becky & I attended the State Fair as we do most years. 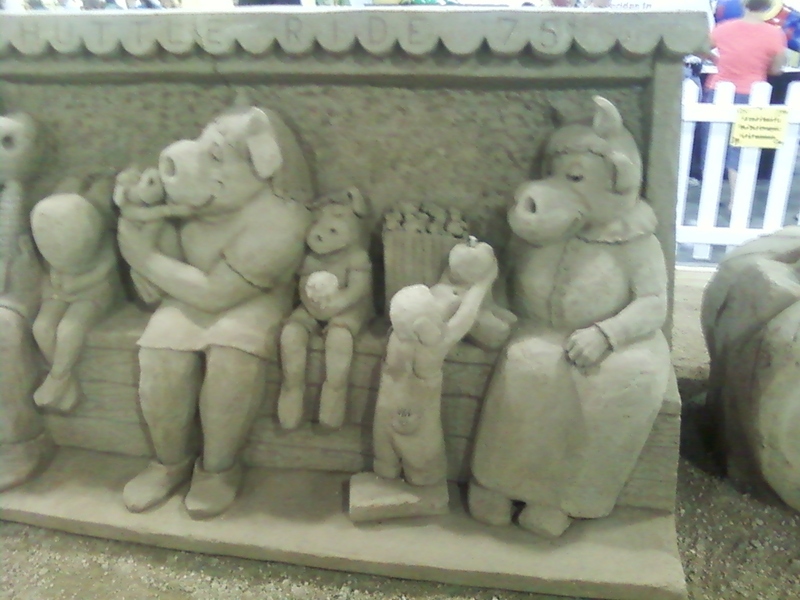 We are a 4-H family and I judge state fair exhibits each year for the 4-H Genealogy Project. 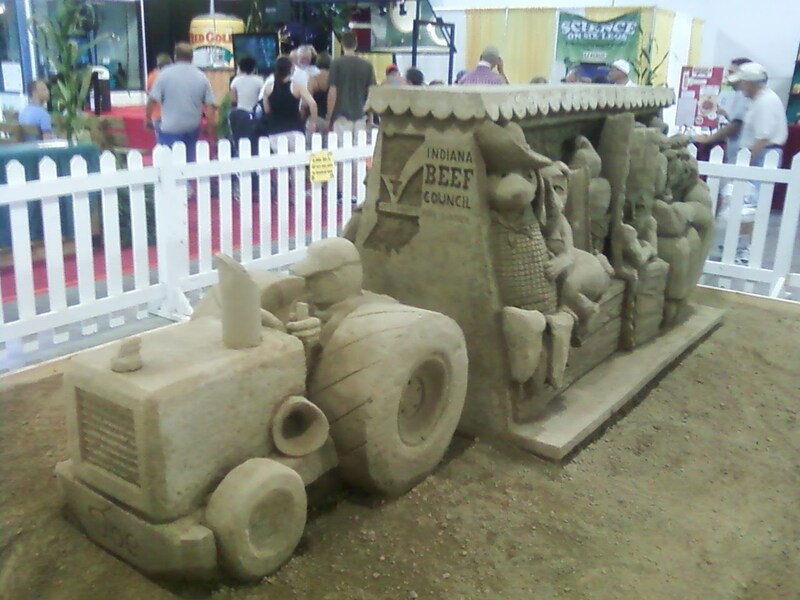 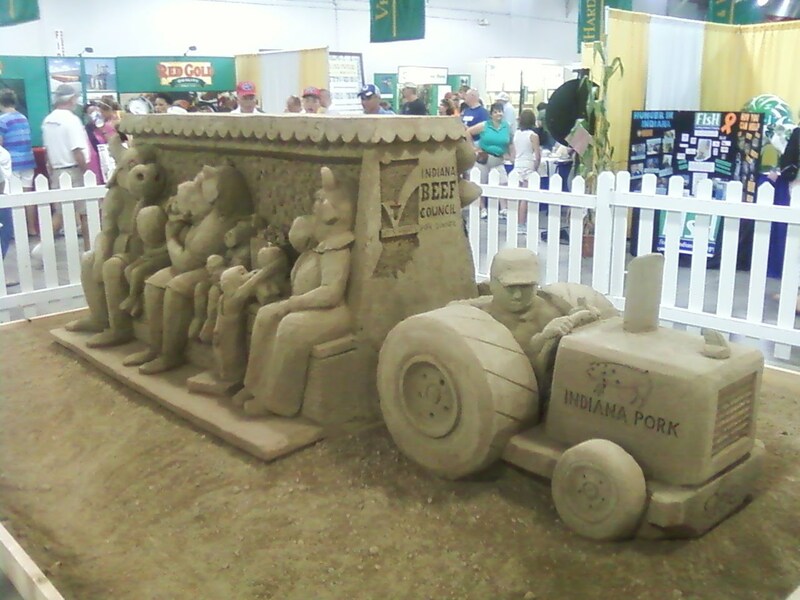 One of the attractions each year is the sand sculpture in the Ag Building... this year it is a copy of the State Fair Shutter Train that goes all the way around the fair grounds. 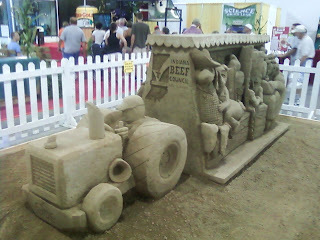 It is pulled by a tractor. In the sand sculpture, it is farm animals riding around the fair.